Aaron Gate celebrates after winning Stage One of the Cycle Classic outside Leamington School. Photo – Dave Lintott. 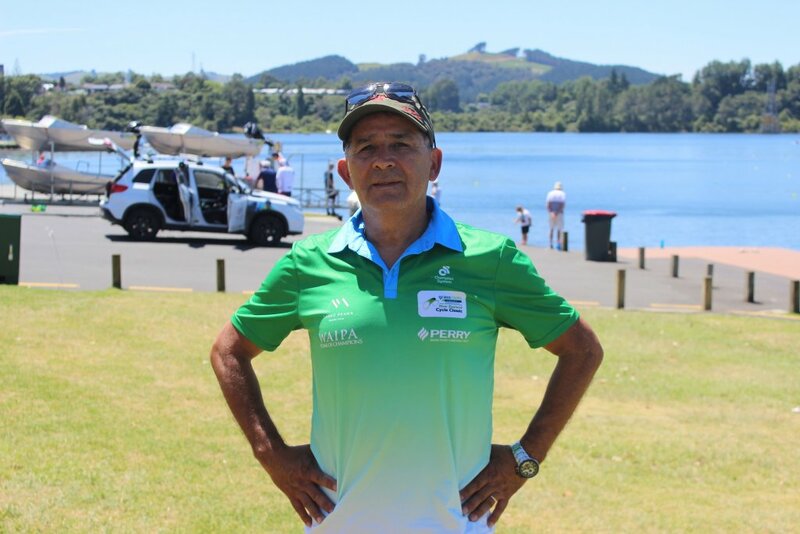 As a week of cycling madness came to a close in Cambridge last Sunday, cycling legend Aaron Gate was named the overall winner of the New Zealand Cycle Classic. 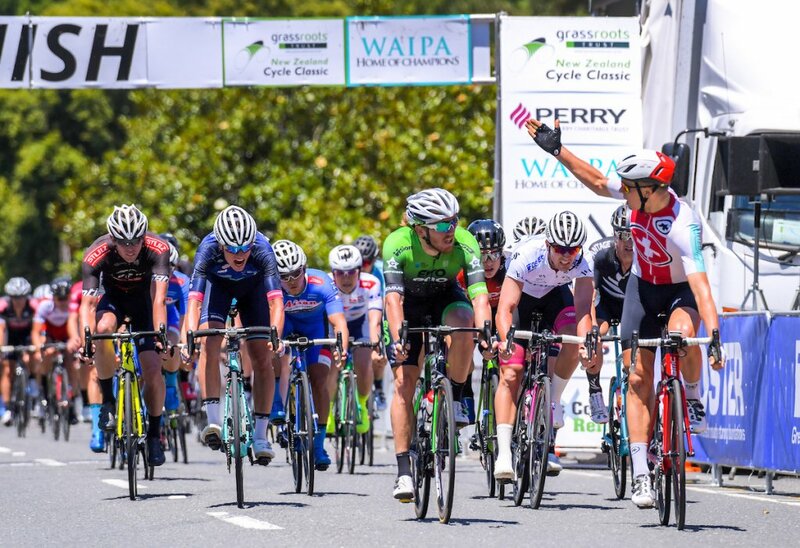 Racing for Ireland in a combined Kiwi-European team, the 28-year-old Aucklander started the competition with a first place finish in the 132km Stage One on Wednesday last week, securing the overall Tour’s yellow jersey. He retained the jersey after a 10th place finish in Stage Two on Thursday, with a photo finish determining the Swiss National team as victors. In Stage Three, Australian rider Jensen Plowright (Drapac Cannondale Development Team) won the gruelling 152km race over Gate in a perfectly timed sprint finish, but thanks to a few well-placed finishes by Gate’s team mates, he continued to hold the yellow jersey in Stage Four on Saturday, where he held the lead for the final kilometre behind Australian Jay Vine (Team Nero Bianci) up the steep and windy Maungakawa Hill. But in the end it was Australian Jesse Featonby who secured the win for the Oliver’s Real Food Racing team. The Swiss National team winning Stage Two of the NZ Cycle Classic outside Karapiro’s Mighty River Domain. Photo – Dave Lintott. Riders from the Australian Cannondale team were first and second over the line in Sunday’s fifth and final stage where riders finished in the centre of town. 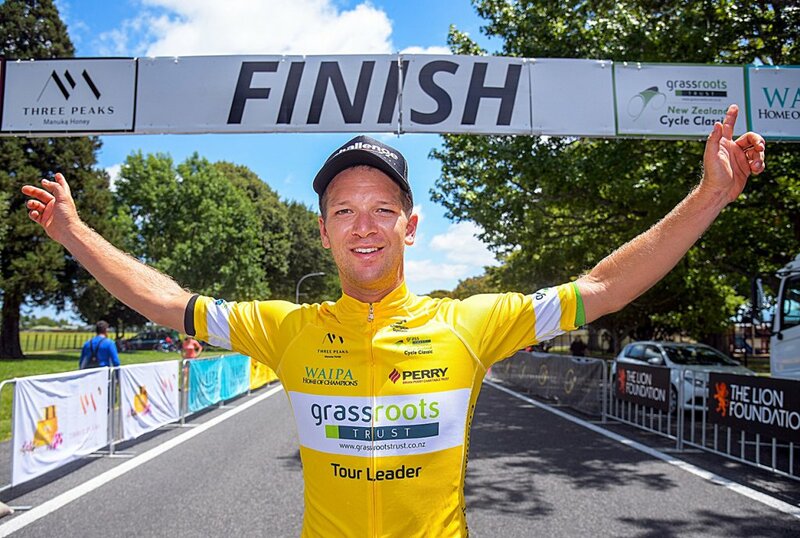 Gate’s teammate Shane Archbold finished third, allowing him to keep the yellow jersey, and the team also won the Tour’s overall team classification jersey. Cambridge’s very own GD Pringle Spoken Cycles team was not to be out done, finishing up the competition third overall out of the 19 elite international teams, with rider Theo Gilbertson winning the Under 23 jersey and Michael Torckler finishing up seventh overall for all riders in the competition. The local team arguably received the loudest cheers during the weekend’s finishes and presentations. “It actually gave me goose bumps!” said Taylor. 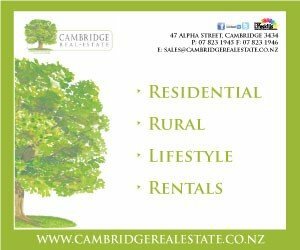 The Cambridge team placed 8th in stage one, two and three, and third in stages four and five. 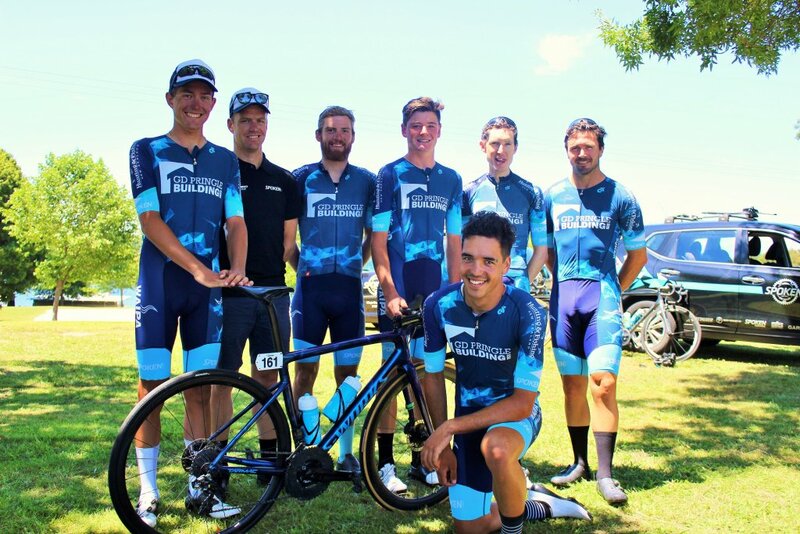 The local GD Pringle Spoken Cycles team, from left: Logan Griffin, Blair Taylor, Alex Heaney, Theo Gilbertson, Michael Torckler, James Harvey and (kneeling) Liam Cappel. More than a thousand people enjoyed and participated in the week’s various events in and around Cambridge.